There are many reasons why you may consider making Brooklands Care Home your new home or chosen care facility for your loved one, and the local area surrounding your chosen care home is sure to play a key part in this important decision. Here we have included helpful information about Drayton, Norwich, the local area, and the towns and villages that surround Brooklands to showcase the wealth of local attractions and things to do in this area. Aylsham is a quiet and peaceful town located in the Norfolk countryside and near to Norwich. There is a strong community spirit in Aylsham, and there are plenty of local events that take place all year round, including, in 2013, the major national cycle event ‘The Tour Series’. Residents of Aylsham fondly refer to the town as a ‘proper’ market town. The town holds a twice-weekly market and weekly auctions on a Monday, along with twice-monthly Farmers Markets and specialty markets throughout the year. The Bure Valley Railway is a popular attraction for residents of Brooklands Care Home visiting Aylsham for the day. The railway is a 15-inch gauge line and runs along a track of 18 miles through the charming Bure Valley and local villages. The drive to Brooklands Care Home from Aylsham takes about 20 minutes. The care home is easily accessible due to its close proximity to Norwich: simply take the Norwich Road/ A140 all the way from Aylsham until the Holt Road roundabout, taking the 2nd exit onto Holly Lane. From Holly Lane, turn right and then left on to Hall Lane and take the 1st exit at the mini roundabout on to School Road. From here, turn right to join the Drayton High Road, taking the 1st left onto Costessey Lane, where you will find Brooklands Care Home. Bowthorpe is a small village west of Norwich and just 4 miles south of Brooklands Care Home. Two thirds of Bowthorpe is made up of residential areas, the other is occupied by a large industrial estate which is mainly occupied by businesses in the technology sector, but there is also a shopping centre and supermarket. Bowthorpe is a peaceful area, with plenty of open green spaces and a very safe cycle network of ‘cycle-only’ lanes. As Bowthorpe is so close to Drayton, Brooklands Care Home welcomes residents from Bowthorpe and its nearby towns for care services such as respite care in Norwich. The drive from Bowthorpe to Brooklands should take around 13 minutes. Follow Chapel Break Road, turning left onto Wendene taking the 2nd exit at the roundabout on to the A1074. From here, turn right onto Longwater Lane and on to West End and then The Street, where you then turn left on to Costessey Lane, where you will find Brooklands Care Home. 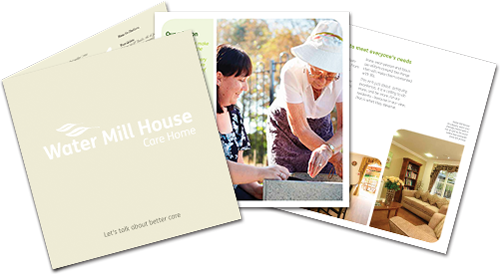 Catton is just north of the Norwich Ring Road and is just over 4 miles from Brooklands Care Home, making it an ideal choice for those looking for a care home near Catton. Fondly known as ‘Old Catton’ to locals and residents, the small village is a civil parish in the Broadland area of Norfolk. Due to its proximity to Norwich, the town is a popular residential choice. For a small village, covering just 2.3 kilometres, there are a handful of notable buildings and landmarks. This includes Catton Hall: a beautiful private estate laid out over 250 acres of parkland and gardens; and Catton Park: a beautiful 70-acre park bordered by woodland with pretty meadows and a maze of footpaths to explore. A day out to either of these Old Catton attractions is a popular activity for those receiving residential care in Drayton from Brooklands. turning left on the Drayton High Road, take the left turn on Costessey Lane, where you will find Brooklands Care Home. The civil parish of Costessey, pronounced ‘Kos-ee’, is bordered by Drayton and is very close to Brooklands Care Home. Costessey is made up of two villages: Old Costessey and New Costessey. The two villages are separated by the River Tud, which is a popular spot for fishing and angling as the river is well known for its dace and trout. As Brooklands Care Home is situated on Costessey Lane, there are great transport links to and from the care home and the drive should only take about 5 minutes. Simply join The Street and turn left over the River Wensum onto Costessey Lane. Dereham is a small Norfolk town with a rich history. Dereham is commonly known as East Dereham – this is to avoid confusion with West Dereham, which is situated around 25 miles away to the west. In the last 30 years, many ancient artefacts and sites have been uncovered across Dereham, including a Neolithic axe head, a Bronze Age mound, and a bridle bit from the Iron Age. There are also well-documented records of the town’s church tower being used as a prison for the French during the Napoleonic War, and even a memorial dedicated to a French soldier who was killed in the town during this conflict. Both the First and Second World War are also pivotal in Dereham’s history. The town suffered damage during a zeppelin raid in 1915, and during World War Two, the town was partially fortified to slow down German invasion. Many artefacts from the town’s history are preserved, making Dereham a great choice for a day out if your loved one residing at Brooklands Care Home enjoys British history. Driving to Brooklands from Dereham should take under half an hour. Thanks to the A47, there are excellent transport links, making Brooklands an ideal choice for those looking for a care home near Norwich. Simply follow the B1146 on to the A46. From the A47 take the A1074 exit on to Dereham Road and follow signs to Brooklands Care Home on Costessey Lane. Hellesdon is only 7 miles from Brooklands Care Home – the drive should take around 6 minutes. Thanks to the Drayton High Road the journey is fast, short, and very straightforward (alternatively, you can take the Drayton Low Road for a similar journey). Because of this easy journey, Brooklands is an ideal choice for family searching for care services near Hellesdon and around Norwich. Hellesdon is a small village with a handful of independent shops, along with a couple of large stores. Norwich International Airport is also located here. Due to Hellesdon’s proximity to the city, it has developed into a major suburb of Norwich. To get to Brooklands Care Home from Hellesdon by car: take either the Drayton High Road or Low Road, on to Costessey Lane, where you will find Brooklands Care Home. Holt is a charming Georgian town around 22 miles from Norwich in Norfolk and 19 miles from Brooklands. The reason for its striking architecture is due to much of the town being destroyed by a fire in the 18th Century, meaning that the majority of buildings were replaced in the style of the times, which was Georgian. Holt is a popular destination for a day out, and an ideal place to take a loved one staying at Brooklands Care Home due to its proximity to Drayton. Shopping is a popular activity, with the fantastic Bakers and Larners Department Store stocking a huge range of products from clothing, to homewares, and beauty products. Holt Country Park is also a popular attraction. The park has been awarded a Green Flag status and is part of the Norfolk Coast Area of Outstanding Natural Beauty. Many people visit the park to take walks throughout the year and to also spot the many different forms of wildlife that have made the Country Park their home. Thanks to the B1149, it is very easy to get to Brooklands Care Home from Holt. Simply take the B1149 from Holt to Drayton, and from here follow signs to Brooklands Care Home. The journey should take around 35 minutes with minimal traffic. The city of Norwich was the largest city in England after London in the 11th century. Thanks to the Ring Road and the easily accessible surrounding transport links, Brooklands Care Home is the perfect choice for those looking for a residential care home in Norwich. Norwich is a lively city and there is always plenty going on all year round. From Christmas events to summer festivals, there will certainly be many opportunities for day trips into Norwich when visiting your loved one at Brooklands Care Home. Those interested in history will be thrilled to learn about Norwich’s Roman beginnings in one of the city’s many museums. If shopping or relaxing with a coffee and cake is more your thing, there are plenty of lovely tea rooms and opportunities for shopping around the city, with malls, markets, independent shops, and retail parks. Reaching Brooklands Care Home from Norwich should only take around 15 minutes but can be longer if there is traffic. Leave Norwich on the A1067 towards Drayton and Costessey Lane, where Brooklands Care Home is situated.